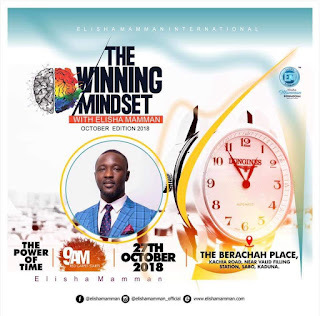 Elisha Mamman of The Winning Mindset International has announced the theme and schedule of the October edition of his highly motivational gathering. The Winning Mindset is a place where everyone matters, a place where dreams are born and where possibilities are inspired. This October edition is themed, "The Power of Time". It promises to be an awesome encounter and will focus on discussing the greatest gift to MAN (Time). Venue: The Berachah Place, Kachia Road, Near Valid Filling Station, Sabon Tasha, Kaduna. 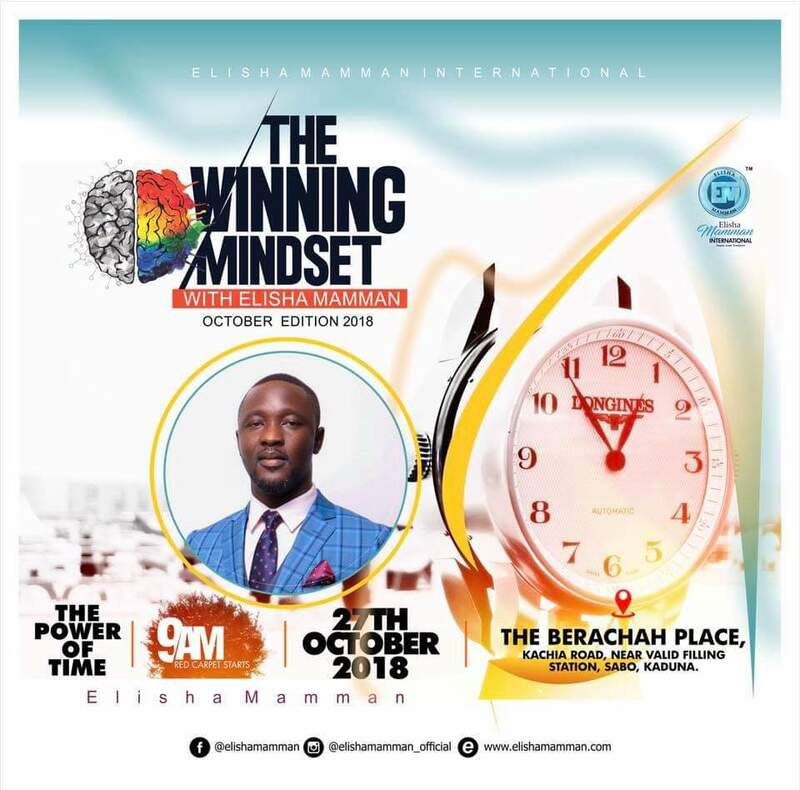 For more enquiries, follow Elisha Mamman International on social media.